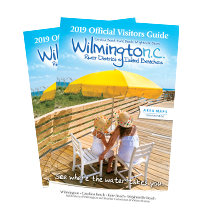 In addition to the variety of watersports, Wilmington and our Island Beaches also offer a variety of facilities from athletic complexes, fields and stadiums to parks, golf courses and the largest convention center on the North Carolina coast. Facilities for popular sporting events include soccer, baseball, softball, tennis, basketball, volleyball, golf, and football as well as the accessible sports, cycling, triathlons, disc golf, field hockey, ice hockey, lacrosse, paintball, racquetball, roller derby, rugby and more. Contact the Wilmington and Beaches Sports Marketing staff for more information or submit a request for sports planning event information.